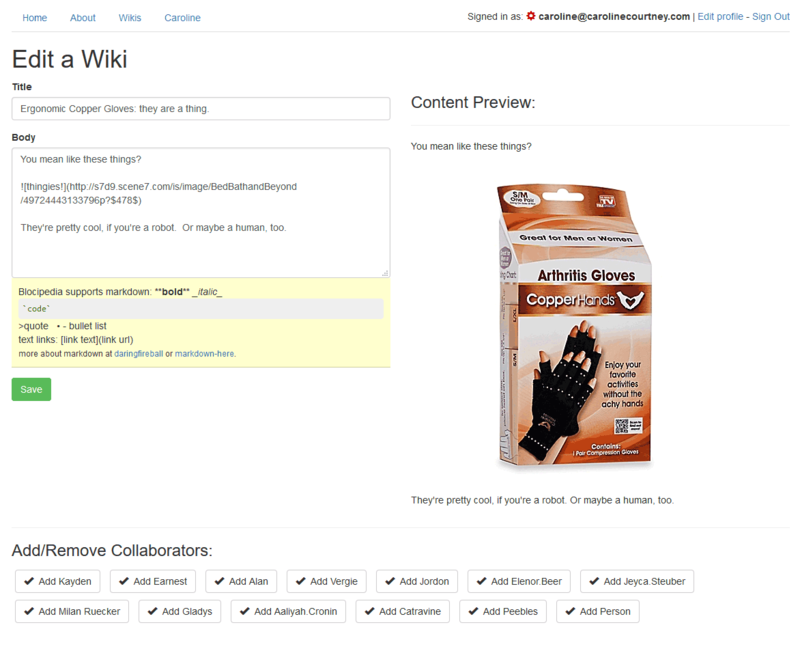 SaaS Wiki Collaboration Tool: Wikis are a great way to collaborate on community- sourced content. 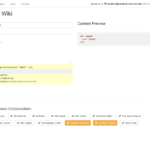 Whether the wiki is for a hobby or work-related project, you will build an app that lets users create their own wikis and share them publicly or privately with other collaborators. Ruby on Rails, CSS, HTML/ERB, Bootstrap. Stripe for recurring subscription of premium users. Pundit for authorizations, Devise for authentication. RedCarpet for markdown and live previews. Highlight for code-formatting. 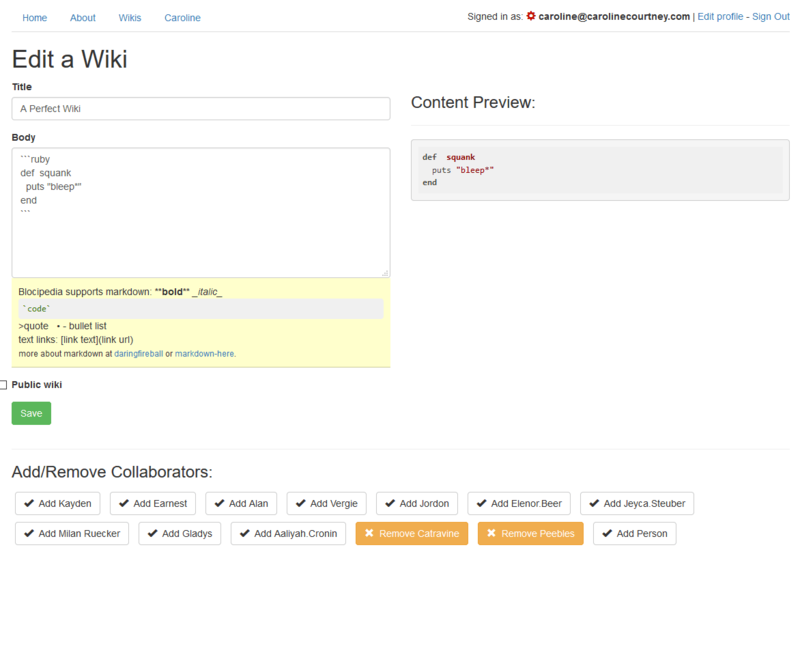 Friendly-ids for user-friendly slugs on wiki articles.